Statistics show more than 50% of U.S. women have bunions. And although genetics play a big role in the likelihood of bunions, certain shoes will help provoke the development of bunions. 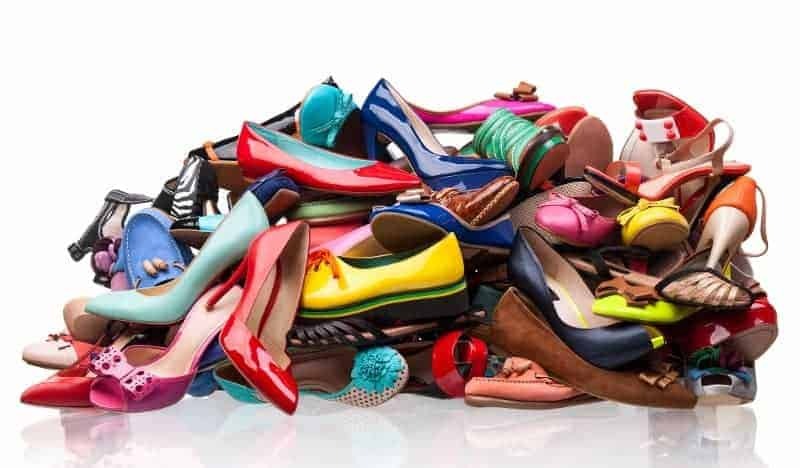 Today we will explore which shoes are known to help cause bunions. A bunion (Hallux Valgus) is a deformity of the metatarsophalangeal (MTP) joint at the base of the big toe. Bunions can be very painful as they force your big toe joint in the opposite direction, away from the normal profile of your foot. Who is Prone to Bunions? – According to a study published in Arthritis Care & Research, bunions are partly hereditary. – People with Rheumatoid Arthritis. – Both men and women are at risk for bunions. However, experts say bunions are more likely to develop on women, especially those whose susceptible feet are repeatedly squeezed into narrow and tight ill-fitting shoes that are pointy. Even the rich and famous suffer from foot deformities. Bunions certainly don’t discriminate. If you are predisposed genetically for bunions, wearing the wrong shoes can help accelerate the formation of a bunion or two. – You have severe pain in your big toe that interferes with walking or daily activities. – Your big toe begins to overlap your second toe. – You have diabetes or peripheral arterial disease and the skin over a bunion is irritated, red, or broken. Diabetes and peripheral arterial disease can reduce blood circulation and sensation in your feet. Infection can develop more quickly and may lead to other serious problems. – Pain in you big toe does not get better after two to three weeks of home treatment. Shoes with a tapered toe box will increase your chances for bunions. The more pointy a toe box , the higher the risk a woman can have for developing bunions. This includes sandals, open and closed toe pumps, and even flats. Also, the higher the heel in a tapered toe box, the more direct pressure you’ll have on your metatarsophalangeal (the joint at the base of the big toe), forcing the joint outward in time. Look for shoes with a wider toe box. Shoes that are less narrow and more squared will less likely squish your feet and big toe inward. Consult with your podiatrist if you have any foot conditions including bunions. If you are allowed to wear heels, make sure you wear them a few hours at a time and take intermittent breaks sitting down. I wear these booties often, and I don’t have bunion problems or wide feet. They feel comfortable. The 5mm of thick padding makes you feel as though you are walking on pillows. The heel is 4 inches tall, and the platform is 1 inch thick. Literally, with all the cushion, you are walking on a 3 inch heel. I recommend these shoes to anyone looking for a comfortable stiletto. I don’t know of any other stiletto brand this comfortable. Try the Samara bootie yourself, and let us know what you think. And if for some reason you aren’t satisfied, simply return the shoes. It’s that simple. Plus, if you subscribe today, you get VIP Offers + Free Shipping on us! Take advantage of this limited offer.